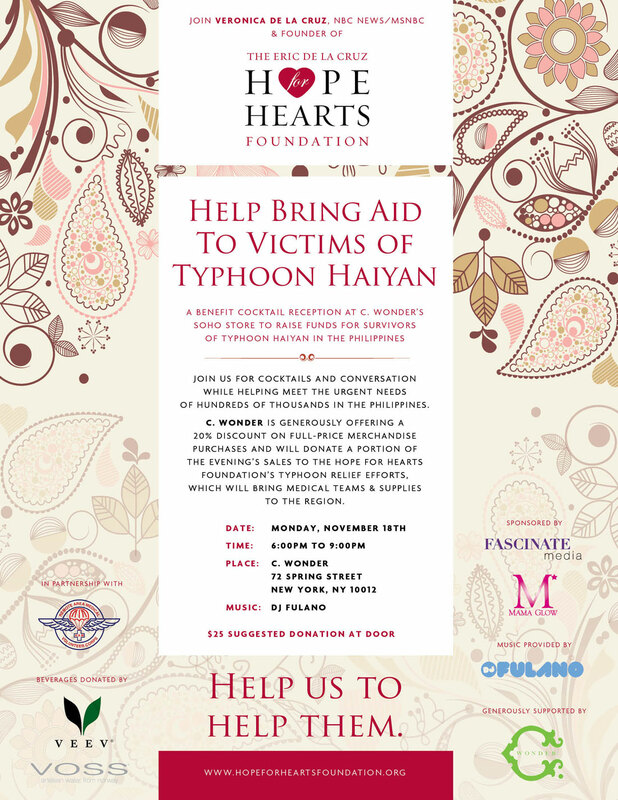 Join Hope For Hearts founder and television news anchor Veronica De La Cruz to help the victims of Typhoon Haiyan in the Philippines this Monday night in Soho. Hope For Hearts will host a cocktail benefit at C. Wonder (72 Spring Street) to raise donations to help bring medical teams and supplies to regions affected by the tragic storm. 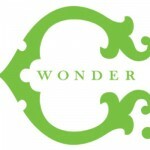 C. Wonder is generously offering a 20% discount off full-price merchandise purchases during the event and will donate a portion of the evening’s sales to Hope For Hearts typhoon relief efforts. Fashion entrepreneur Chris Burch will be in attendance and donations will be accepted at the door. 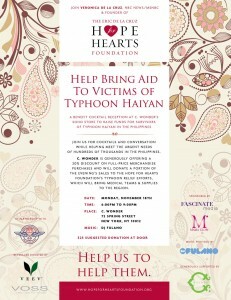 This special event is sponsored and generously supported by C. Wonder, Fascinate Media, Mama Glow, Veev, and Voss, Don’t miss this wonderful chance to do something for the millions suffering in the Philippines right now. Come out and join us Monday night for a cocktail, conversation and a very good cause.